A. G. Aksoy, On a theorem of Terzioglu, in progress. A. G. Aksoy, Q. Peng, On a theorem of S. N. Bernstein for Banach spaces, submitted, arXiv:1605.04592. 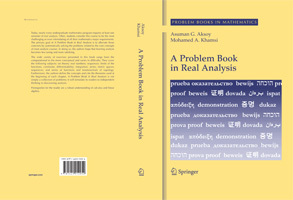 A. G. Aksoy, M. Al-Ansari, Q. Peng, Representation theorems for R-trees, submitted, arXiv:1601.03108. A. G. Aksoy, E. Cumberbatch, Uncovering GEMS of Mathematics, accepted. 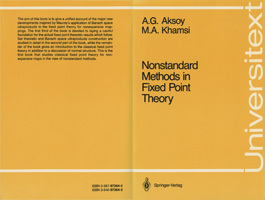 A. G. Aksoy, Al-Khwarizm? and the Hermeneutic Circle: Reflections on a Trip to Samarkand, Journal of Humanistic Mathematics, 6(2), pp. 114–127, 2016, DOI: 10.5642/jhummath.201602.09.